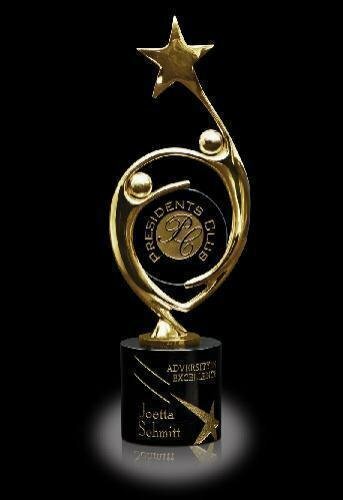 An intricate 24k gold painted art deco sculpture engulfs a circular jade glass with a black marble base on this award. 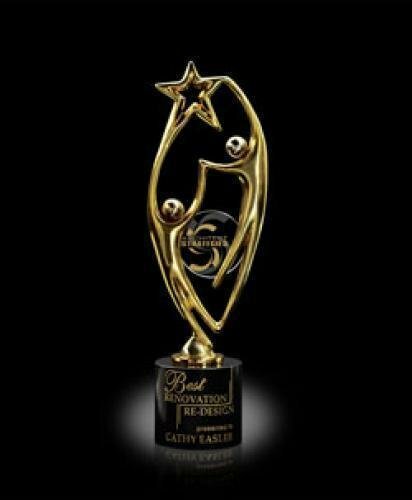 This stunning award will surely turn heads with its brilliant 24k gold finish, black marble base and simple jade glass. 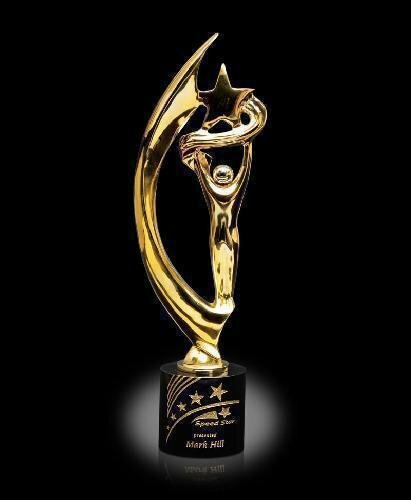 A black stone base with a artfully crafted star sculpture in a 24k gold finish makes this award a show stopper.